Gregory Siragusa is senior principal scientist with Eurofins Microbiology Laboratories, Inc., a division of the global life sciences company Eurofins Scientific. He has held positions with Danisco/DuPont and the USDA. He has been a reviewer for the Journal of Food Protection and Applied Environmental Microbiology. Siragusa’s research spans fields of microbiology focusing on foods. 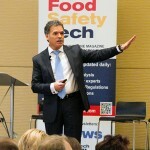 He has been a speaker on the topics of food genomics and antibiotic alternatives. He obtained the B.S./M.S. in microbiology from Louisiana State University and a Ph.D. from the University of Arkansas. He has authored more than 100 peer-reviewed papers, chapters and abstracts. His latest activities focus on applications of genomics to food microbiology. Douglas Marshall is chief scientific officer with Eurofins Microbiology Laboratories, Inc., a division of the global life sciences company Eurofins Scientific. 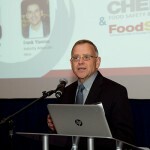 He also is cofounder and director of the Food Safety Institute, LLC, an integrated consulting and analytical services company affiliated with Eurofins. He currently holds adjunct professor positions with Colorado State University and Florida State College. His former positions include associate dean and professor of public health at the College of Natural and Health Sciences, University of Northern Colorado; adjunct professor with the Colorado School of Public Health; professor of food science, nutrition, and health promotion at Mississippi State University; assistant professor of food science at Louisiana State University; contributing editor for the peer-reviewed scientific journal Food Microbiology, and four consecutive terms on the editorial board of the Journal of Food Protection. He is a frequent consultant to NIH, WHO, FAO, USDA and other government agencies and private companies. His research and expertise has been featured in popular press venues such as Consumer’s Reports, Fine Cooking, USA Today, Fitness, Health, Men’s Health, Chemtech, Nature Science Updates, and ASM Journal Highlights. 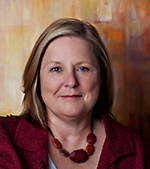 Marshall is a frequently invited speaker and a prolific book chapter writer. With more than 250 publications and more than 150 invited presentations, his scientific research and outreach interests focus on improving the microbiological quality and safety of foods. Among these was the completion of the four-volume Handbook of Food Science, Technology, and Engineering, which he co-edited. He has been the recipient of a number of awards for his scholarly efforts including the Mississippi Chemical Corporation Award of Excellence for Outstanding Work and the International Association for Food Protection Educator Award. 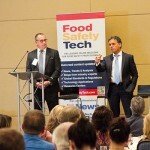 He is a fellow of the Institute of Food Technologists, where he has previously served as chair of two divisions and two regional sections, member of the board of directors, an Inaugural member and chair of the International Food Science Certification Commission, and a founding member of the Global Traceability Center. 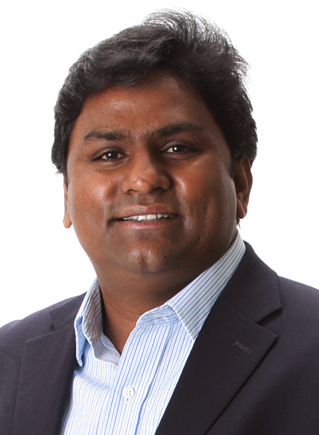 Nur A. Hasan is VP of research and development at CosmosID, Inc. He can be reached at nur.hasan@cosmosid.com.